We get to see many companies agreeing various sponsorship deals for many different sporting events, with many earlier in the summer for the 2012 London Olympics. In the smartphone world HTC has recently been losing ground to its rivals in terms of handsets sales, but the company is now fighting back with some notable handset releases, and HTC has now announced they have become the official UEFA Champions League and Europa League official smartphone. HTC has revealed they have reached an agreement with UEFA that will basically allow more than four billion fans of football, or soccer depending on where you live, to stay connected to some of the biggest tournaments for the sport. The deal is to run for three years until the end of the 2014/2015 season, and will also include an association with the UEFA Super Cup, the UEFA Women’s Champions League final and the UEFA Futsal Cup finals. It’s the UEFA Champions League which is Europe’s premier football tournament that features the region’s biggest teams, which HTC will be pleased to be associated with. The group stages have recently finished with the draw for the last sixteen teams taking place on December 20th before games resuming in February 2013. The Champions League has a number of different sponsors that includes the likes of Heineken, PlayStation, MasterCard, and now HTC getting publicity when the games are taking place. HTC has stated they are excited about providing “the ultimate fan experience”. 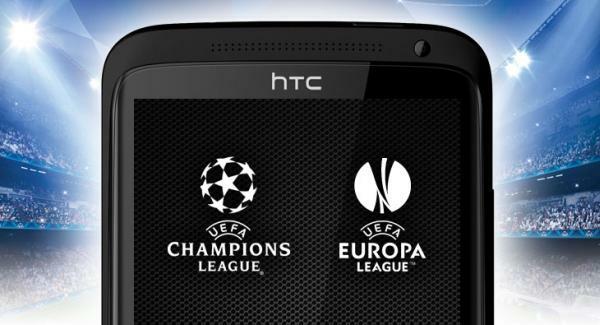 Android users of a variety of hardware can also get access to the official UEFA.com application via Google Play, which provides users information from the UEFA Champions League, UEFA Euro 2012 qualifying, and UEFA Europa League. This includes customised alerts, live results, photos, standings, news, and much more all from a free application. Do you watch the Champions League and which is your favourite team?